Typically eaten raw, perhaps with a sprinkling of lemon or on a cracker, oysters are considered a low-calorie source of protein packed with vitamins and minerals. Often ordered as a precursor to an upscale steak or seafood dinner, or as a starter to a leisurely Sunday brunch, oysters are not only a party on the plate but they are a party in your mouth. Slippery and slimy in the best possible way, the fresh, cold meat of an East or West Coast oyster is a treat for the senses on a hot summer day. And for some people, like wine, it can be an acquired taste. Gulf Coast oysters are abundant throughout the year, though the summer season demands that they be cooked rather than served raw (you can't be too careful when it comes to vibrio). In Houston, winter is the season for raw oysters, but that doesn't keep Houston chefs from taking oyster recipes to the next level during the hotter months. 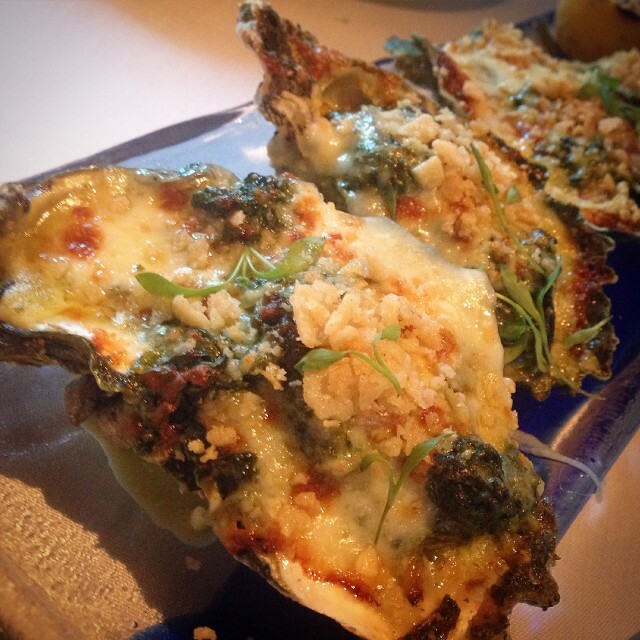 The Oysters Añejo are topped with creamed spinach, cotija cheese and tortilla crumbs. 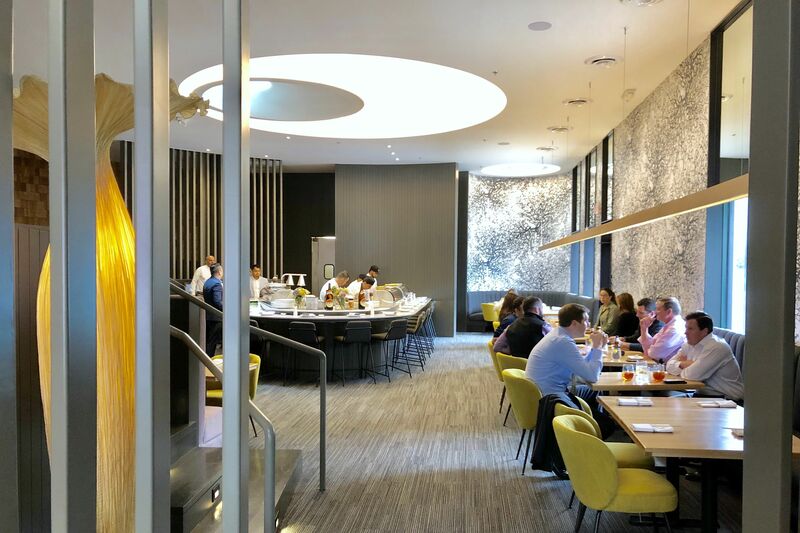 Conveniently located off of Loop 610 and Post Oak Blvd., Añejo is one of the more recent additions to swanky Uptown Park. With its covered front patio and lively bar scene, the restaurant places a heavy focus on offering quality Tex-Mex in a festive environment. 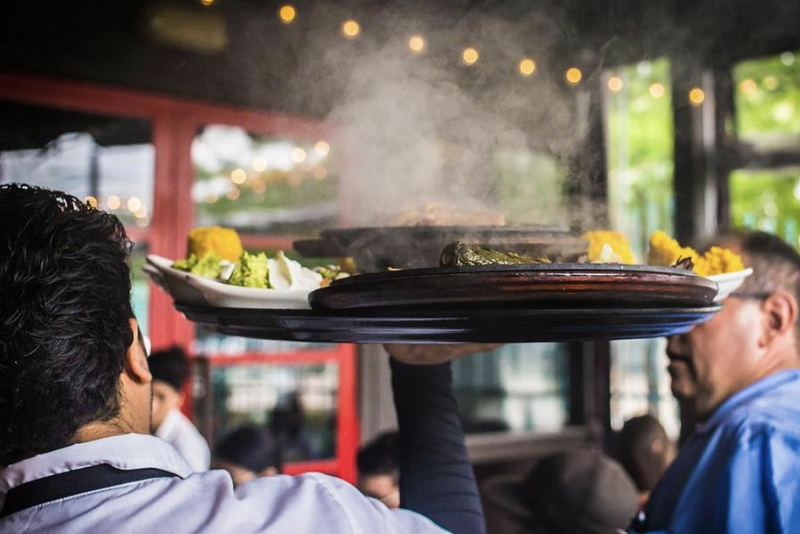 Known for making its own tortillas—which makes all of the difference in the world—and a margarita cart that travels from table to table so you can see exactly which tequila is going into your margarita, the dining experience at Añejo is every bit the Tex-Mex experience you should expect to find in Houston. 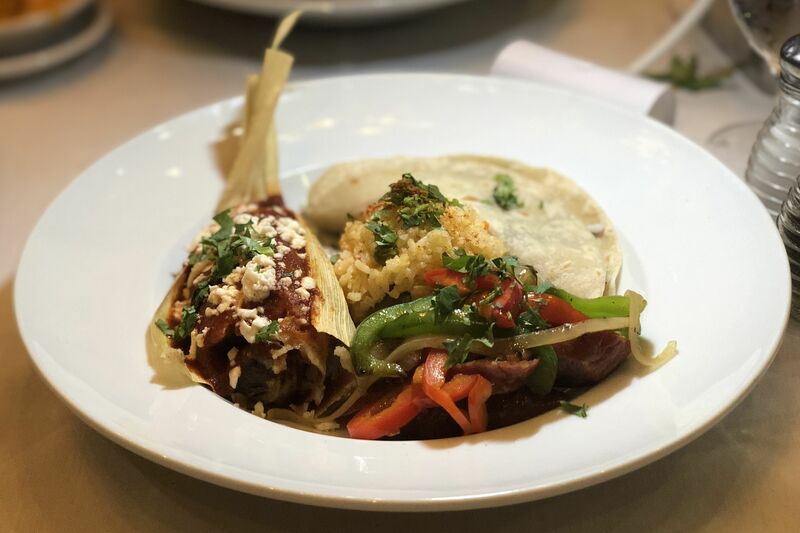 Distinct menu options include the venison mole and the wild boar burrito, and while the flavors of the food are bold and robust, I encourage you to ask your server for the double XL hot sauce; its peppery flavor starts off tangy and follows up with an intense burn all the way down your throat. During my dinner visit, executive chef Michael Pellegrino explained to me the consistent hype seafood dishes have been getting all summer long with diners craving ever more unique options. Oysters have been making happy hour headlines and char-grilled oysters are the new "It" oyster to beat. At Añejo, Pellegrino broils Gulf Coast oysters then layers them with zesty creamed spinach a la Mexicana, Chihuahua cotija cheese and corn tortilla crumbs. Stunning on the plate and keeping in line with the restaurant's many other hearty selections, the Oysters Añejo are my pick this week for the city's most dynamic oyster dish. 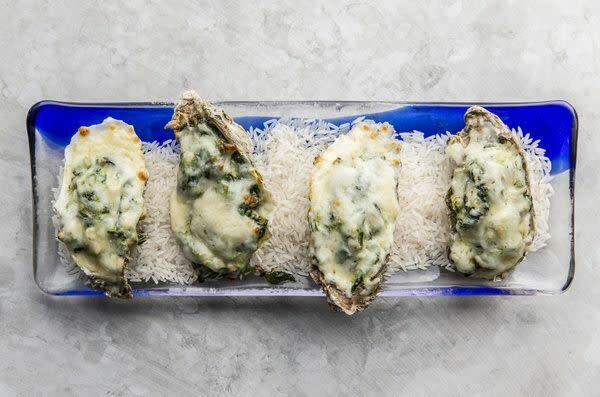 Whether it's that they offer the comfort of classic Mexican flavors or simply that they're smothered with delicious, ooey-gooey cheese, these oysters are a refreshing change from the same old-same old. Añejo's happy hour runs until 6 p.m. daily. The fiesta carries on every day from open until 6 p.m.—the happy hour fiesta that is. 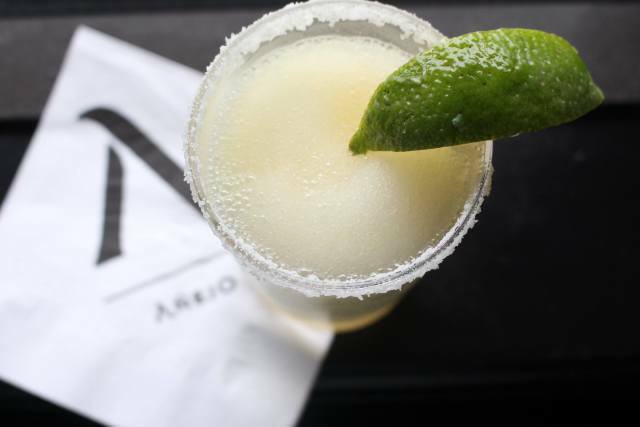 Unlike many of the other upscale eateries in the area, Añejo welcomes Houstonians to partake in their happy hour seven days a week (that means weekends too!). The popular happy hour spotlights half-off cocktails, $3 beers and $5 wines by the glass, with a heavy focus on small plates like barbacoa taquitos, pulled chicken flautas and fresh guacamole. 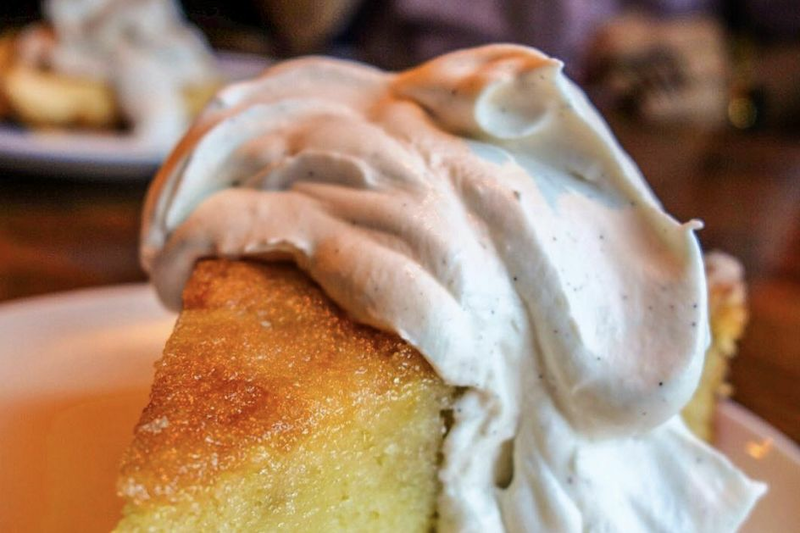 Quickly becoming a hip destination to mingle over margaritas and indulge in authentic Tex-Mex, Añejo is yet another score for the Galleria area. Oh, and it just so happens to be National Oyster Day today, which means there's no better time to indulge in this salty, briny treat served on the half-shell.